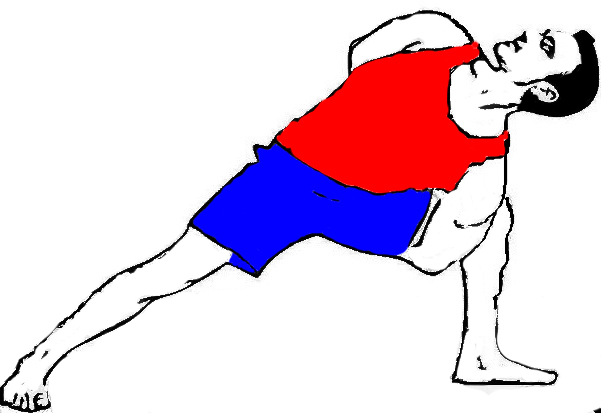 Pose in agnistambhasana(Fire log pose). Slide your knees together in front of you,stacking the right knee directly on the top of left. When aligned sit back in between your feet which should be equidistant from your hips. Support your weight evenly amongst your sitting bones. 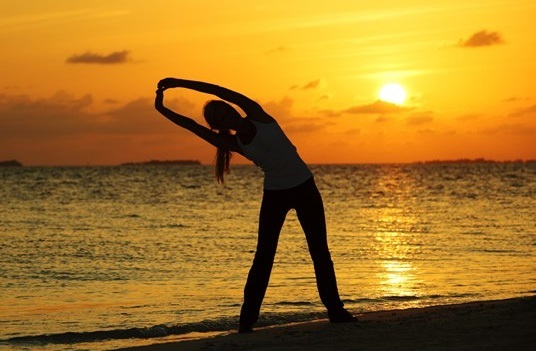 Now for the the upper body, extend your left arm up towards the sky. Then, bring your left hand down to the center of your back. Reach your right arm out to the same side, parallel to the floor. 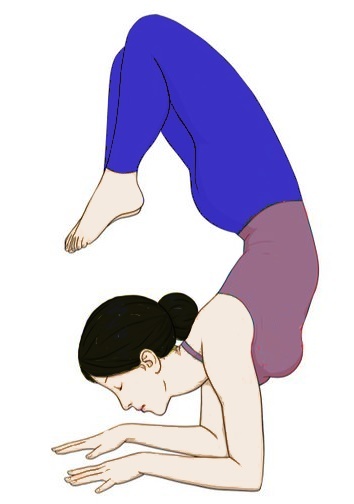 Rotate the arm inward – your thumb will turn first towards the floor – until your palm faces the sky above. Take a deep breath and, as you exhale, sweep your right arm behind and in the hollow of your lower back (as parallel to your spine as is comfortable). 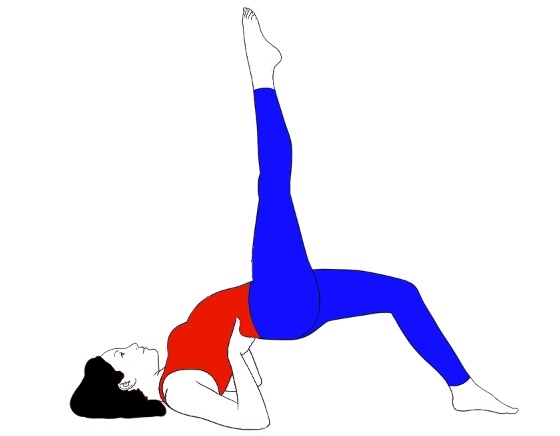 Now release your arms, uncross your legs, and repeat Gomukhasana with the left knee on top and left elbow pointing down. 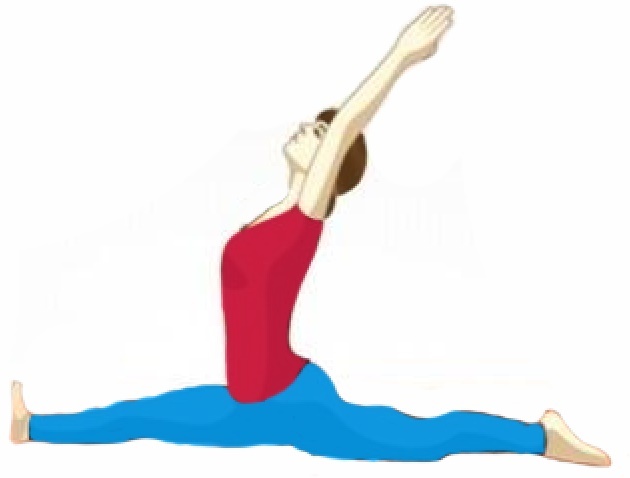 Don’t attempt this Asana in case of Neck, knee,hip and shoulders injury. Don’t fasten your hands behind the back.Don’t go beyond over your abilities. Thanks for your suggestion, very soon we will add precautions of this Asana. Keep in touch. How long should we sit in this pose ? In initial stage try to hold or sit for one to 3 minutes, and day by day increase the time of sitting. The first photo is correct, but the last illustration is incorrect. The hand on that side goes up whose leg is at the bottom. @Manoj, Good to see your comment, You gave the reference of Sivananda Yoga site regarding this Asana, and that is absolutely correct. But Remember one thing, In Yoga there are so many Variations for Asana. so last illustration image is also correct.